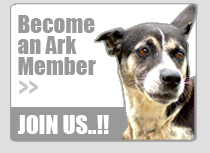 If you love animals and are upset by the way in which they are treated in Barbados – become part of the solution and help to effect change – make a difference by joining The Ark as a member. Unfortunately we live in a culture where the welfare of animals tends to be somewhat insignificant, and it is therefore our duty as ‘animal-lovers’ to help them. We offer a membership facility where YOU can become involved, have YOUR say and play YOUR part in improving the lives of animals in Barbados. For a set annual subscription fee, you will be invited to our Annual General Meeting (usually held in the month of January) where your voice will be heard and where your opinions and suggestions will contribute to making Barbados a happier place for animals across the island. Of course throughout the year we welcome your support and feedback and we can be reached via email with any queries or suggestions. As a member you will receive our quarterly Newsletter – The Ark Bark – which will be mailed to your home address. The newsletter features news about the dogs, cats and other animals we have rescued and re-homed. Each issue features several of our lovely dogs available for adoption along with write ups of each dog’s unique story. Also included are articles about charity events, the latest animal news in Barbados, info on animal/pet care and of course a big THANK YOU to our volunteers for their work, and to all those who make donations to our charity. It is a must read for all animal lovers! As we are a non-profit charity financed solely by fundraising events and donations, your membership fee goes a long way to assisting us in our continued work for this most worthy of causes. If you’ve found yourself wondering how you can help and how you can make a difference, then act now by becoming a member of the Ark! 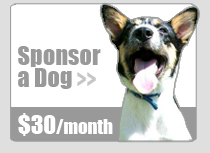 You CAN make a difference in the lives of these animals! We need your help!